Milan – Meet and greet upon arrival and transfer to your Hotel. Check into Hotel. Check in Time is 1400hrs. Rest of the day free at leisure. Overnight at Hotel. Milan – Verona – Venice – Breakfast at Hotel. Today A Milan Guided City Panoramic Tour will include a panoramic view of the city with your tour guide. Later there will be a one hour walking tour of Milan which will include a visit to The Duomo then later you will be driven to Venice via Verona. You will proceed by Water Taxi (Included) Arrival at Venice check-in Rest of the day is free at leisure. Check into Hotel. Overnight at Hotel. Venice- Breakfast at Hotel. 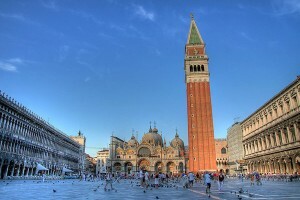 Today you will take a Panoramic Walking Guided Tour of Venice. This interesting tour is centered around the history of St. Mark’s Square and its main monuments. We will be visiting the St. Mark’s Basilica with its marble and mosaics, and the Ducal Palace where the old Republic of Venice exercised their political and commercial powers in the Doge Palace. Next we will cross the Bridge of Sighs arriving at the famous Venice Jail. Finishing off the tour is a chance to visit the glass factory on the island of Murano. (The visit to Murano is optional and not included in the Walking Tour). The rest of the afternoon you are free to explore Venice. Afternoon is free at your leisure to explore Venice. Overnight at Hotel. Venice – Verona – Interlaken, Switzerland- Breakfast at Hotel. You will proceed to the mainland by Water Taxi (Admission Included) and meet your Long Distance Vehicle where you will continue your tour to Lucerne via Verona. Short Orientation of Verona and then on to Interlaken. Arrive in Interlaken. Check into Hotel. Rest of the day is free at leisure. Overnight at Hotel. Interlaken- Breakfast at Hotel, today proceed for Geneva for Half day city sightseeing tour is a perfect introduction to Geneva. It’s especially great if you’ve just arrived in the city and want to get a lay of the land Overnight at Hotel. Interlaken – Lucerne- Breakfast at Hotel, Today proceed for city tour of Interlaken Later on transfer to Lucerne.Arrive in Lucerne. Check into Hotel. Rest of the day is free at leisure. Overnight at Hotel. Lucerne – Mt Titlis – Lucerne- Breakfast at Hotel. 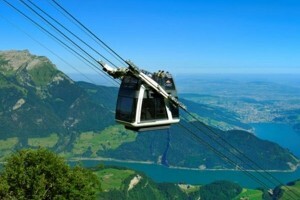 This morning proceed to Engleberg where you will take the Mt Titlis Tour. 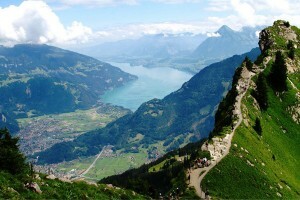 An adventure excursion to the highest vantage point in Central Switzerland. A pleasant ride with our deluxe motor coach takes you to the mountain resort of Engelberg in Central Switzerland, where you will board the aerial cable way for a 45 minute journey from the green valley bottom to the high alpine glacier region at 3020 m/10000 ft which guarantees snow the whole year round. Enjoy a magnificent ride in the world’s first ever revolving ‘ROTAIR’ gondola, which offers a 360° panoramic view into the Alps. During the 2 hours stay on the mountain visit the Ice Grotto, experience the new ‘Ice Flyer’ – chair lift ride over the glacier with fantastic views into crevasses and ice falls and enjoy a snow slide on the ‘Fun Lift’. (These activities are included in our tour). After the descent to Engelberg we board our coach for drive to Lucerne. 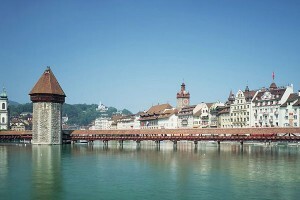 You will get an Orientation Tour of Lucerne where you will see the Lion Monument and then Chapel Bridge. Overnight at Hotel. Lucerne – Zurich- Breakfast at Hotel. 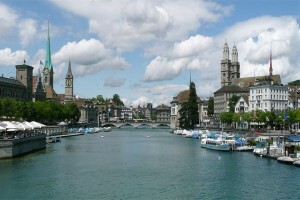 Today We proceed to Zurich this morning for a Short Orientation Tour of this city. Overnight at Hotel. Zurich – Paris- Breakfast at Hotel. Day is free at leisure explore city on your own till you will proceed to Paris via TGV Train (Standard Class Ticket Included). Your vehicle will be met upon arrival in Paris and transferred to your Hotel. Check into Hotel. Overnight at Hotel. Paris- Breakfast at Hotel. Proceed for a Guided Panoramic Tour of Paris. 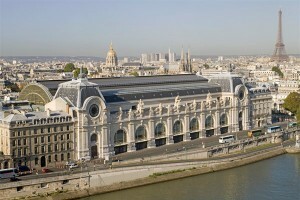 This excursion will enable you to discover Paris from three different viewpoints. The first will be from a coach with a one and a half hour drive in the city. The second will be a Boat Cruise down the River Seine (Admission Included) taking you back through 2000 years of Parisian history. The third viewpoint is an elevator ride up to the 2nd floor of the Eiffel Tower (Admission Included) for a breathtaking panoramic view of Paris. This excursion will end at the Eiffel Tower. After the tour, there will be time for some shopping. Overnight at Hotel. Paris – Disneyland Paris Ticket: 1 Day 2 Park- Breakfast at Hotel. Today you will be proceeding for Disneyland Paris Ticket: 1 Day 2 Park Treat yourself. lf to a magical time at Disneyland® Paris. With two different theme parks, Disneyland® Paris will make your dreams come true twice! Your Disneyland® Paris 1 Day 2 Park Hopper Ticket is superb value, allowing one day’s admission to both Disneyland® Park and Walt Disney Studios® Park with the freedom to hop between both Disney® Parks as often as you like. Overnight at Hotel. Paris- Breakfast at Hotel. Day is free at your leisure until departure transfer to Airport.